Stephan Baker of the U.S. won the 16th Annual RenRe Junior Gold Cup which sailed their final race in the Hamilton Harbor. 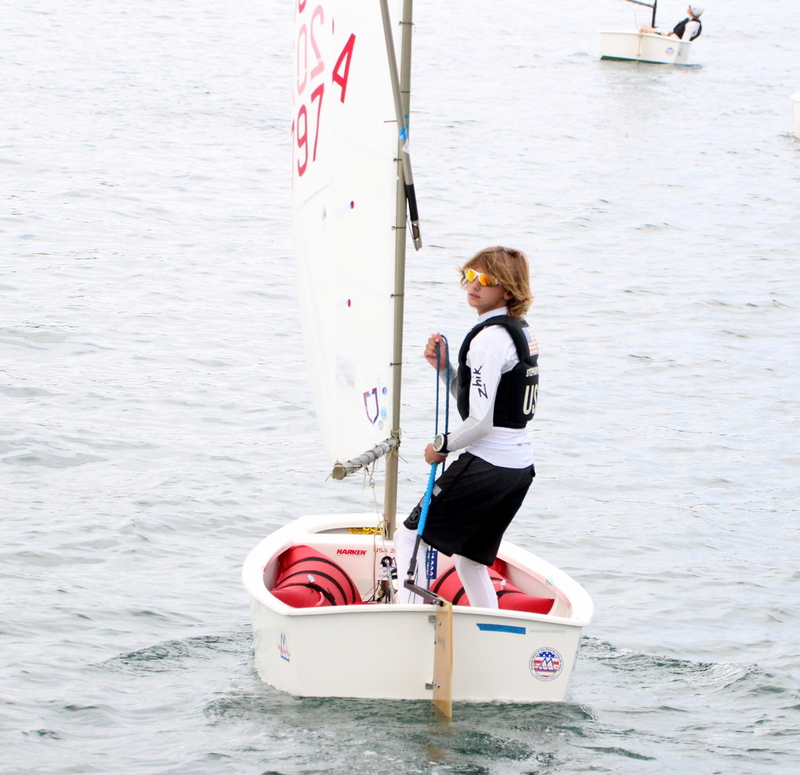 The 14-year-old Baker, from Ft. Lauderdale, Fla., dominated the regatta with the low score of 14 points and finished 20 points ahead of Bermudian Christian Ebbin. “The best Opti memories I have are sailing the Junior Gold Cup,” said the 27-year-old Dackhammar. This year’s fleet counted 35 sailors from five different continents, including 23 Bermudian sailors. It included Matt Ashwell of South Africa, the first entrant from the African continent, and the largest field of female sailors both locally and amongst the overseas competitors. Females are here from Argentina, Germany, Great Britain, New Zealand, Spain and the U.S. Virgin Islands. The German sailor, Cosima Schlueter, placed sixth overall and was the top-placing female. The youngest competitor from overseas was Mose Bellomi from Italy, who at home is in the cadetti fleet (under 11) and by Italian requirements is not allowed to sail in their selection trials due to his age yet is in the top half here amongst his world class competitors.